Tags: Ashley cole, Chelsea, Damien Duff, EPL, Everton, Fellani, Oscar, Premier League, Romelu Lukaku, Saturday, Southampton, Stoke, Stoke City F.C. 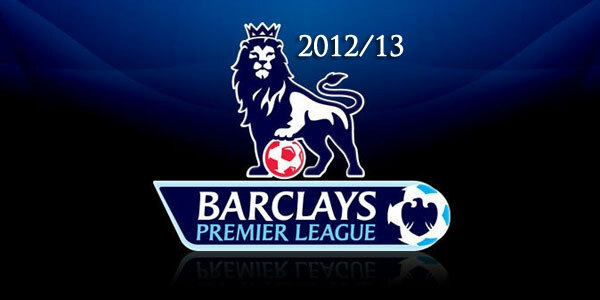 Fulham,Everton and Southampton managed to climb up in the Premier League rankings with their win over Wigan,Swansea and Aston Villa respectively while West Ham and Sunderland drew on Saturday.Chelsea remained on top in the league with a hard-fought win over Stoke city at Stamford Bridge. 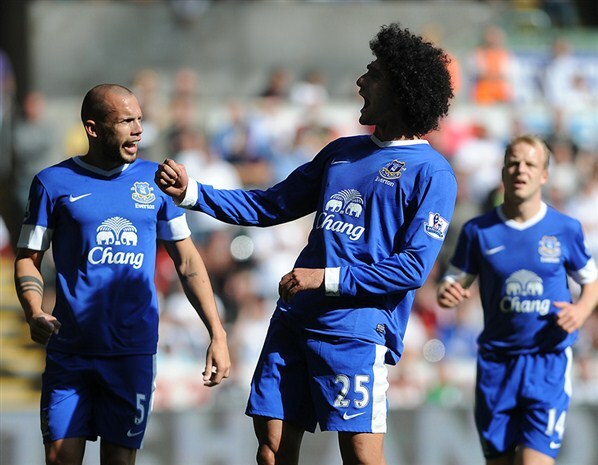 Everton celebrate Marouane Fellaini’s goal in their 3-0 win over Swansea on Saturday. Everton jumped into second place in the premier league with an impressive 3-0 victory over Swansea on Saturday.Everton went on to take the lead in the 22nd minute with Anichebe hammering past Vorm from a setup by Fellaini.They dominated rest of the half managing to surge into a two goal lead in 43rd minute with a Mirallas goal.Second half saw some elevated attack from home side but towering Howard denied them any success.Swansea were reduced to 10 men when substitute Nathan Dyer, who had only been on the pitch for 12 minutes, was sent off in the second half.In the 83rdminute, Fellaini headed in a Baines free kick to put the match beyond Swasena’s reach. 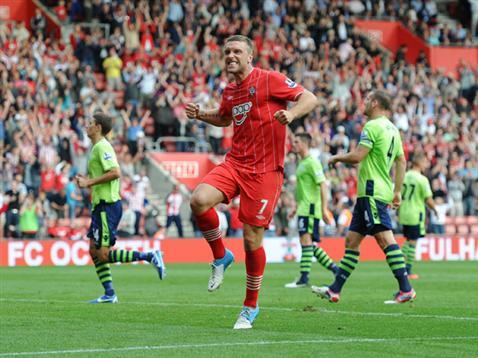 Rickie Lambert scored twice at St. Mary on Saturday against Aston villa to give the Saints their first win of the season. 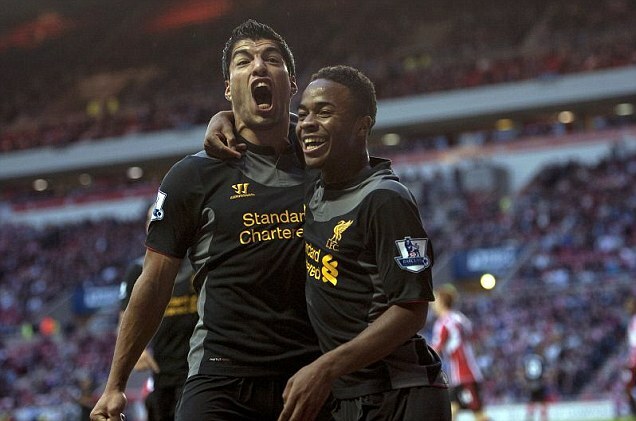 Southampton pulled off first three points of the season on Saturday with an impressive 4-1 win over Aston Villa at St Mary’s.They came from one goal down when striker Rickie Lambert drew level in 58th minute.After that Villa were outplayed throughout in every possible manner leading to Nathaniel Clyne scoring the second for the Saints in 63rd minute.An own goal from Ciaran Clark in the 72nd minute saw the hosts turn the match on its head.Lambert then scored his fourth league goal of the season from the penalty spot in added time as Southampton, who had a tough start to the season with matches against last season’s top three, won at last. A late strike from Ashley Cole hands a 1-0 win over Stoke and place Chelsea atop the league table. A match expected to be an easy one for the home side turned into a frustrated event as The Blues struggle to break down an organized Stoke side.Stoke looking to post yet another draw created some close chances in the first half with one going off the top bar from a Walter’s header in spite of Chelsea holding on to most of ball possession.Di Matteo started Lampard and Terry from bench with Oscar on pitch who almost created the magic similar to that against Juventus last week.The game really sparked up late on, notably starting up around the time Lampard was subbed on in the 81st minute. A late goal in 85th minute from an unlikely scorer Ashley Cole who managed to sneak in behind the towering Stoke City back line, thanks to a cheeky heel-flick from Mata.With this win Chelsea are three points clear at the top of the table. 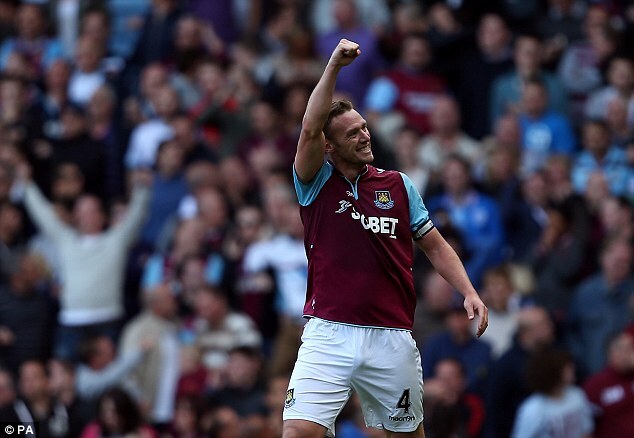 Captain Kevin Nolan celebrates after scoring a late equalizer against Sunderland on Saturday at Upton Park. It was a heart-break for Sunderland on Saturday at Upton park as Kevin Nolan rescued West Ham with a last-gasp equalizer in the 93rd minute.Steven Fletcher’s first half goal in the 9th minute had put the visitors one goal up looking for the first win of the season only to be denied by captain Nolan who has scored three goals in the season. 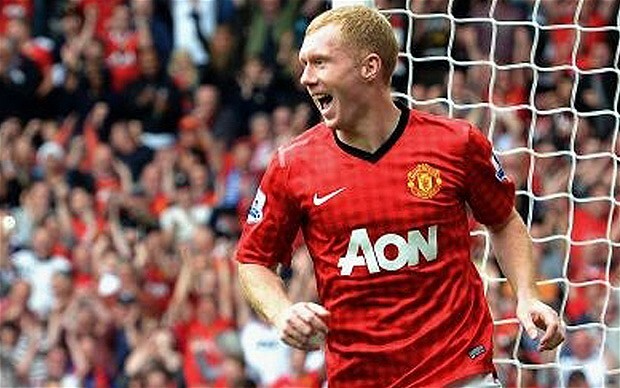 Fulham’s Damien Duff celebrates scoring the second goal against Wigan on Saturday. Fulham gained their first away win of the season on Saturday with a 2-1 win over Wigan on Saturday at DW Stadium.Hugo Rodallega gave the visitors lead in the 31st minute which was double by Damien Duff in the 68th minute to seal the points for the Cottagers.It has been a strong start for Fulham this season putting them into the top four.Arouna Kone grabbed a late consolation for the hosts. 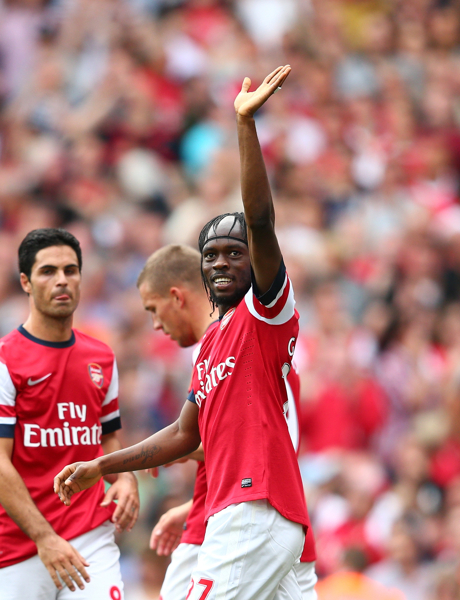 Lukaku celebrates scoring the lone goal of the match against Reading to put his side in top three of the league table on Saturday. 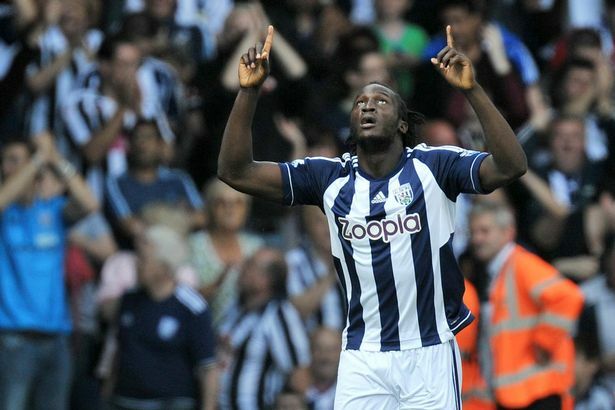 Chelsea’s On-loan striker Romelu Lukaku grabbed his second goal of the season placing the Baggies at third place in the English Premier League table.Lukaku scored the lone goal of the match in the 71st minute firing home left-footed with keeper Alex McCarthy unsighted.Steve Clarke’s side now has a perfect home record who has won their opening three home fixtures for the first time in 58 years.Saturday’s loss has pushed Reading to the bottom of the table after their fifth game without a victory.